This pattern features an open cardigan with cascading panels and fold-back front band,long sleeves and stitched hems. 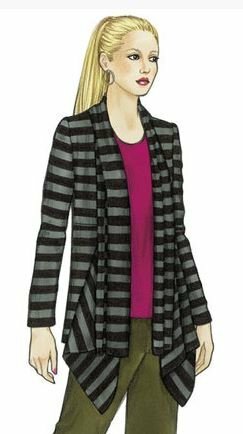 Fabric suggestions are medium weight knit or sweater knits. Wrong side of fabric will show when wearing garment. Will need to purchase fabric and pattern here.